George Hartley was born about 1797/8, probably in Trawden, Lancashire, England. The births of two George Hartleys who are about the right age to be our George are recorded in the registers of St Bartholomew's in Colne, Lancashire. One, born March 5, 1797 to John and Peggy Hartley, was baptized July 30, 1797. The other, born on May 1, 1798 to George and Mary Hartley, was baptized July 28, 1798. As an adult, George worked as a weaver. He married Mary Heap in St. Bartholomew's on December 24, 1818. Mary Heap was the daughter of John Heap (bp. Colne May 4, 1775, son of James Heap and Martha Fether of Trawden) and Nancy Riley (bp. Colne August 18, 1776, daughter of John Riley and Phillis Hartley), who were married in St. Bartholomew's in Colne on February 28, 1797. John Heap was also a weaver. He and his wife were living in Boughgap when Mary, born on July 24, 1798, was baptized at St. Bartholomew's on July 14, 1799. There is a Bough Gap section of Keighley Road, Trawden. A man named James Ellis was a witness to both the marriage of John Heap to Nancy Riley and the marriage of Mary Heap to George Hartley. Mary Heap Hartley died at some point between 1827 and October 5, 1829, when her husband remarried. She is not the Mary Hartley, wife of George, who was buried on March 19, 1826 in West Ardsley, Yorkshire. The family was still living in Trawden at that point. On October 5, 1829 George Hartley, widower, married Ann Turner, widow in St. Bartholomew's in Colne. His sons' marriage certificates in 1841 and 1849 list the family residence as Pudsey, Yorkshire. George is listed as a weaver in 1841 and a twister in 1849. John Hartley (George) was born, according to census records, in Bogap, Lancashire. This is probably the Bough Gap section of Trawden. He cannot be the John, son of George and "Matty" Hartley who was born May 18, 1821 and baptized July 22, 1821 in Keighley, Yorkshire because that date is too close to the baptism date of his brother William. Since all his siblings were baptized in Colne, it seems likely that he is the John Hartley baptized there on January 10, 1820. His mother's name is given as Mary. His father is listed as John Hartley, weaver, of Lower Colne but that could easily be a mistake for George and Trawden is just southeast of Colne. When John Hartley married on May 3, 1841 in St. Wilfrid's Church in Calverley, Yorkshire, he gave his age as 21. Susanna Briggs (c.1822-May 31, 1900) married John Hartley at age 19. She was the daughter of John Briggs (September 5, 1802-July 14, 1868) and Ellen Riddihough (December 4, 1797-before 1881). At the time of their marriage, John and Susanna listed their residence as Pudsey and John's occupation as woolcomber. On July 25, 1850, John and Susanna's sons Ellis and William Henry and their nephew, Richard Hartley's son George, were baptized at the Primitive Methodist Church in Bradford, Yorkshire. Once again John's occupation was listed as woolcomber. Their abode was listed as Moor Head, Shipley. M. A. Pickels (Pickler in 1870 census below) is Mary Ellen Hartley, who married John Pickles in 1862. The ages of Ann and Jane differ from those given in the 1861 census and Thomison, daughter of John and Susannah, who would have been fourteen, does not appear, although she was with the rest of the family by the time of the 1870 census. Richard Hartley, 26, was John's brother and Thomasine Hartley, 25, was his wife and also Susannah's sister, Thomasine or Thomason Briggs. Thomas Hartley and Thomasine Hartley appear to be their children, based on their ages. They had another son, John Briggs Hartley, who would have been five in 1866, who is missing here but is with the family in the 1870 census. 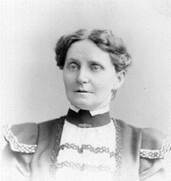 Susannah Briggs Hartley lived until May 31, 1900. Although her death certificate says she was born c.1820 in Philadelphia, and gives her marital status as married, her identity is not in question. She was living at 110 North 63rd Street, Ward 34 at the time of her death and was buried in Fernwood Cemetery in Yeadon, Delaware County, Pennsylvania on June 2, 1900. William Hartley(George) was born in Trawden, Lancashire and baptized in Colne on January 28, 1821. Martha Hartley (George) was born in Trawden, Lancashrie and baptized in Colne on December 26, 1824. James Hartley (George) was born in Trawden, Lancashire and was baptized June 15, 1823 in St. Bartholomew's in Colne. James married Sarah Sykes, daughter of David Sykes, a weaver, on February 20, 1849, at St. Wilfrid's, Calverley, Yorkshire, when he was recorded as being 24 (b. 1825) and she was 23. They were living in Pudsey. He died between 1854, when his son was born, and 1861 when his wife and her second husband, William Clark, appear in the census. In 1851 James and Sarah were living in Baildon, Yorkshire and James's brother Richard was boarding with them. 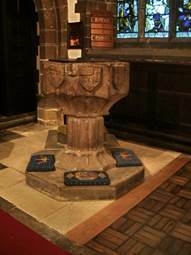 Richard Hartley (George) was born in 1826 in Trawden, Lancashire and baptized June 4, 1826 in St. Bartholomew's, Colne. On his birth record his father is listed as a weaver living in Trawden and his mother's name is given as Mary. Richard died in 1886 in Upper Darby Township, Delaware County, Pennsylvania. At 21, he married Thomison Briggs, age 20, on July 30, 1849 in St. Wilfred's in Caverley,Yorkshire. She was the daughter of John Briggs and Ellen Riddihough and the sister of Susanna Briggs, who was married to Richard's brother John. They were then living in Pudsey. Thomason was born c. 1829 in Kelbrook, Thornton in Craven, Yorkshire and died in 1895 in Upper Darby Township, Delaware County, Pennsylvania. In 1850 their son was baptized in the Primitive Methodist Church in Bradford, Yorkshire. In 1851 they were boarding with his brother James in Baildon, Yorkshire. in 1868, Richard Hartley, spinner, was a boarder at 90 Moody Street, Lowell, Massachusetts, along with Ellis Hartley, dyer, and William Hartley, machinist. It seems likely that Richard and his two nephews traveled north in search of work, leaving their families in Pennsylvania. It is possible the Fawcetts were relatives. George Fawcett, widower (June 2, 1839-January 28, 1908) was buried in Fernwood Cemetery near the Hartleys. Richard Hartley was buried September 9, 1886 in Fernwood Cemetery, Yeadon, Delaware County, Pennsylvania. Thomason B. Hartley who died in 1895 and is buried in Richard's plot in Fernwood cemetery on November 10, 1895. Her death certificate says she was 58, which would make her birth year c. 1837 rather than c. 1829, but such mistakes in recording ages were not uncommon. If Thomason Briggs Hartley is the "Aunt Thomason" pictured in a photograph in the album kept by Susanna Hartley Emerson, then she was in Passaic, New Jersey at some point because that is where the photograph was taken. The other possible subject of this photograph is Thomasin Hartley Lees, daughter of John Hartley and Susannah Briggs. Also buried in Richard's plot are his sons John and Thomas and two unidentified Hartley women, Laura Hartley, who died in Philadelphia December 18, 1903 at age five years and five months and was buried December 22, 1903, and Mary L. Hartley, who was buried November 16, 1887. Adjacent plots were owned by John Hartley and William Hartley. Joseph Hartley was born in about 1827 and was listed as age 14 in the 1841 census in Bradford, Yorkshire. Jane Hartley was born in 1832 in Trawden, Lancashire to George Hartley's second wife, Ann (Nanny) and was baptized in Colne on April 22, 1832. Ellis Hartley was born in 1833 in Trawden, Lancashire to George Hartley's second wife, Ann (Nanny) and was baptized in Colne on October 6, 1833. Mary Ellen Hartley (John, George) was born September 17, 1842 in Bradford, Yorkshire, England and baptized April 7, 1844 at St. Peter's, Bradford (now Bradford Cathedral). She is listed with her parents in the 1851 census. In 1861, she was a boarder in Baildon, Yorkshire in the house of Betty Nowall. She married John Pickles in St. Peter's, Bradford on December 25, 1862. She is the M. A. Pickels, age 21, who traveled from Liverpool to New York on the Orient with her father, brother, and husband, John Pickels, age 23, arriving on August 18, 1865, which would make her Mary E. Pickler, age 27, living with John and Susannah Hartley in Billerica, Massachusetts at the time of the 1870 census. There her husband is listed as John Pickler, b. c. 1840. They had a daughter named Susannah. Susannah Pickler (March 1870-September 9, 1871) died at age eighteen months in Philadelphia and was buried in Mount Moriah Cemetery. Her parents were listed on the death certificate as John and Mary Ann Pickler. William Henry Hartley (John, George) was born January 3, 1847 in Bradford, Yorkshire, England, baptized July 25, 1850 in the Primitive Methodist Church in Bradford, and died October 9, 1893 in Pennsylvania. He arrived in New York with his father and sister aboard the Orient on August 18,1865. He married Elizabeth Bibby. She was born c. 1850 in England, emigrated in 1851, and died November 25, 1933 at the age of 82. In 1868, William Hartley was listed in Lowell, Massachusetts as a machinist boarding in the same house at 90 Moody Street as Ellis Hartley and Richard Hartley. They had probably left the rest of their family in the Philadelphia area and gone to Lowell looking for work. In the 1870 census for Philadelphia Ward 24 District 79 there are duplicate entries for a William Hartley, 24, born in England. One has wife Lizzie, age 20, and children John, age 3, and Annie, age 1. The other is below. William H. Hartley died October 9, 1893 in Philadelphia and was buried October 12, 1893 in Fernwood Cemetery, Yeadon, Delaware County, Pennsylvania. Willie Hartley, probably William's son, was buried there on November 24, 1882. Elizabeth Bibby Hartley married Thomas Allen. She was buried with her first husband, but under the name Elizabeth Allen, on November 29, 1933. Ellis Hartley (John, George) came to America in 1866 and applied for naturalization in 1872. According to the U. S. Census, he was twenty-nine in 1880 and therefore born c.1851. According to his daughter Eva's death certificate, he was born in Manchester, the largest city in Lancashire, England. Information on death certificates (and in obituaries, census records, and anywhere else where poor memory and/or bad handwriting is a factor) is notoriously unreliable. Ellis was in fact born in Yorkshire and he was not the only member of his immediate family to leave England for America in 1866. The confusion over Manchester? Possibly this came about because Ellis's father was born in Lancashire, although not in that city and because the family embarked from another Lancashire city, Liverpool. According to the register of the Primitive Methodist Church of Bradford, Yorkshire, Ellis Hartley was born May 13, 1850 and baptized July 25, 1850, at which time his parents lived in Moor Head, Shipley. He died in Chester, Pennsylvania in 1885. He is listed with his parents in the 1851 and 1861 census records for Baildon, Yorkshire. He arrived in Philadelphia with his mother, siblings, uncle and aunt on the Saranak on May 21, 1866. In 1868, he was in Lowell Massachusetts, when he is listed as boarding at 90 Moody Street. His occupation was listed as dyer. Also boarding at that location were Richard Hartley, spinner, and William Hartley, machinist. No ages are given for any of them and no wives or families are listed with them, but William was probably Ellis's brother and Richard was probably their uncle. On September 13, 1872 in Philadelphia, PA, Ellis Hartley filed a declaration of intent to be come a U. S. Citizen. Richard Hartley, who was already a citizen, deposed that Ellis had been in the U. S. for the past six years. In 1873, Ellis Hartley and his wife Nellie were living in Chester, Pennsylvania when their first child was born. They were in Brunswick, Maine in 1875 for the birth of the second. They had returned to Chester in 1876 for the birth of their third child. In 1879, they were back in Lowell, Massachusetts. 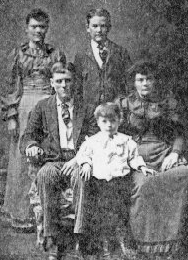 The family had returned to Chester, Pennsylvania by 1884 when their last child, Eva, was born. Ellis died in Pennsylvania in 1885 and was buried in his father's plot in Fernwood Cemetery on February 15, 1885. Unfortunately, the 1890 census records were destroyed in a fire but in 1902, Nellie was back in Lowell, Massachusetts. Now we enter into some confusion, as there seem to have been three Nellie Hartleys living in Lowell in the first decade of the twentieth century. When the 1902 Lowell, Massachusetts city directory came out, Nellie Hartley, widow of Ellis, was living in a house at 28 Pollard Street. Obviously, she is not the Nellie Holton Hartley, widow, daughter of John Holton, living at 40 Agawam, who married Albert White, widower, of the same address on August 7, 1901. That Nellie gave her age as forty-nine and listed her mother's name as Delia. Then, in the 1910 census, Nellie Hartley, 57, is listed as a boarder in the household of Edward B. McSorley, 25 and his wife Jennet, 21 on Walnut Street in Lowell, a single woman with no children born or now living with a father born in England and a mother born in Ireland. Her profession is "housekeeper, private family." Our Nellie died in 1911 and her death certificate records she was living at 456 Gorham St., Lowell, at the time of her death. She died of sun stroke. This is confirmed by an article in the Lowell Sun for Friday, July 7, 1911. She was one of "Six More Deaths" due to the heat ("Mrs. Nellie Hartley, Gorham Street). She was buried July 8, 1911 in St. Patrick's Cemetery, Lowell. As is often the case, accounts of how old she was when she died vary. The family bible belonging to Nellie's daughter Susanna records Nellie's age at the time of her death as sixty-three. Her death certificate, where the information came from a younger daughter, Agnes, says she was fifty-nine. Thomison Hartley (John, George) was born in December 1853 in Baildon, Yorkshire and died after 1876 in Pennsylvania. She is not listed on the 1865 or 1866 manifests with other members of her family but she appears with them in the 1870 census in Billerica, Massachusetts at age 18 and working in a woolen mill. She appears to be the Thomison Hartley who married John Frederick Lees and was the mother of William Clement Lees. His death certificate gives her maiden name and states that she was born in England. It is possible she is the "Aunt Thomason" in Susanna Hartley Emerson's photograph album. The picture was taken in Passaic, New Jersey. The alternative subject is her aunt, the wife of Richard Hartley. Ann Hartley (John, George) was born about 1857 in Baildon, Yorkshire. She is listed in the 1861 census as age 4. She arrived in Philadelphia on May 21, 1866 aboard the Saranak, where she is listed as age 7. In 1870, the census for Billerica, Massachusetts lists her as age 15 and working in a woolen mill. Annie Hartley, weaver, resided in Chester, Pennsylvania in 1888 and 1889, according to the Chester Directory. Annie Hartley was buried in John Hartley's plot in Fernwood on March 11, 1900. The Annie Hartley (1854-April 10, 1892) listed in Find-a-Grave as buried in Fernwood Cemetery, Fernwood [sic], Delaware County, Pennsylvania was born in Philadelphia and was married at the time of her death. Jane Hartley (John, George) was born about 1859 in Baildon, Yorkshire. She is listed in the 1861 census as age 2. 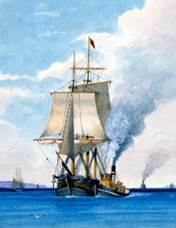 She arrived in Philadelphia on May 21, 1866 aboard the Saranak, where she is listed as age 5. In 1870, age 12, she was with her family in Billerica, Massachusetts. In 1880, age 22, she was living with her mother in Upper Darby Township, Delaware County, Pennsylvania. Elizabeth Hartley (James, George) was born c.1845 in Baildon, Yorkshire. She was listed in the 1851 census as age five and in the 1861 census as fifteen, by which time she was living with her stepfather, William Clark. Selina Hartley (James, George) was born c. 1850 in Baildon, Yorkshire. She was listed in the 1851 census aged ten months and in the 1861 census as age twelve and living with her stepfather, William Clark. In 1871, age twenty, she was a lodger in Baildon with the Holmes family. Blackburn Hartley (James, George) was born in 1854 in Baildon, Yorkshire. In 1861 he was living with his mother and stepfather, William Clark, in Baildon, and was listed as age seven. He was buried March 5, 1863 in St. John the Evangelist, Baildon. George Hartley (Richard, George) was born October 13, 1849 in Bradford, Yorkshire. He appears to have died before the 1851 census. Christopher Hartley (Richard, George) was born c. 1851 in Baildon, Yorkshire. He was buried in St. John the Evangelist, Baildon on July 11, 1863. Thomas B. Hartley (Richard, George) was born July 18, 1856 in Baildon Green, Bradford, Yorkshire and baptised at St. John the Evangelist, Bailden on June 16, 1857. He came with his parents to Philadelphia in May of 1866. In the 1880 census Thomas Hartley, 21, weaver, is listed with Richard Hartley as boarding with George Fawcett and his wife Annie in Upper Darby Township, Pennsylvania. Thomas B. Hartley died January 3, 1905 and was buried January 7, 1905 in Fernwood Cemetery, Delaware County, Pennsylvania in Richard Hartley's plot. Thomasine Hartley (Richard, George) is listed as an infant in the manifest of the Saranak, arriving in Philadelphia on May 21, 1866 and was probably Richard and Thomason Hartley's daughter since Susannah Hartley already had an older daughter with the same name. She appears to have died before the 1870 census was taken. James Hartley (Richard, George) b. c. 1869, Upper Darby Township, Delaware County, Pennsylvania. Listed in the 1870 census as being one year old. Nothing further is known of him. A second James Hartley has a birthdate two years later and thus could not have been the James listed in 1870. It is likely the first James had died by 1872. James Lincoln Hartley (Richard, George) b. November 3. 1872 Upper Darby Township, Delaware County, Pennsylvania; d. November 10, 1919, Philadelphia, Pennsylvania. He married Marion Nenevilliar Daymon in 1896 in Philadelphia. She was born August 19, 1875 and died June 3, 1937 in Upper Darby Township. Her death certificate indicates that she died while living at 59 Sunshine Road in Upper Darby, Pennsylvania. She is buried in Arlington Cemetery, Drexel Hill, Pennsylvania. Also buried there is James L. Hartley, but cemetery records show his date of death as April 3, 1920. The death certificate for James Lincoln Hartley gives the date of his death as November 10, 1919 and states he is to be buried in Fernwood Cemetery. It is possible that he was buried first in Fernwood and later moved to Arlington. Other information on his death certificate includes his parents names and his profession. He was an electrician. Susanna Hartley Emerson's album contains a photograph of "Lincoln and Marion Hartley" taken in Philadelphia. John F. Hartley (William, John, George) was born about 1867. Annie Hartley (William, John, George) was born about 1869. William H. Hartley (William, John, George) was born about 1873 and died in November 1882. He was buried in William Hartley's plot in Fernwood Cemetery, Delaware County, Pennsylvania. Emma Hartley (William, John, George) was born c. 1875. She married Harry W. Hoffman. He was born about 1860 and was buried on November 1, 1938 in William Hartley's plot in Fernwood Cemetery, Delaware County, Pennsylvania. She was buried there December 28, 1956. Harry Hartley (William, John, George) was born c. 1877. Susanna Hartley (Ellis, John, George) was born March 24, 1873 in Chester, Pennsylvania and died May 2, 1939 in Bangor, Maine. She married Justus Sanford Emerson (April 10, 1870-July 23, 1962) on January 12, 1890 in Carmel, Maine. Agnes Hartley (Ellis, John, George) was born in August 3, 1875 in Brunswick, Maine and died after 1940 in Lowell, Massachusetts. She married first a man named Pryor but she signed her mother's death certificate in 1911 as Agnes Hartley. On August 14, 1914 she married James Taylor (b.c.1871). According to her great nephew, Agnes Hartley was born with no body hair and wore a red-brown wig in life but was buried in a gray wig. She and James Taylor resided in Lowell in 1920, 1930 and 1940. John Hartley (Ellis, John, George) was born in 1876 in Pennsylvania and died October 11, 1909, probably in Bangor, Maine. James Hartley (Ellis, John, George) was born March 15, 1879 in Lowell, Massachusetts and died February 5, 1942 in Bangor, Maine. He married Grace I. Danforth (1886-December 30, 1963) on August 30, 1904 in Bangor, Maine. Eva Hartley (Ellis, John, George) was born December 17, 1884 in Chester, Pennsylvania. She died July 17, 1900 in Bangor, Maine. William Clement Lees (Thomison, John, George) was born on 28 April , 1876 in Delaware County, Pennsylvania and died February 21, 1914 in Philadelphia. He was buried February 25, 1914 in Mt. Moriah Cemetery. According to his death certificate, he was an attorney and real estate broker. He married Fannie Henrietta Palmer on April 30, 1902 at Cooper Memorial United Methodist Church in Philadelphia. Ethel Hartley (James Lincoln, Richard, George) was born in 1897. In 1920 she was living with her mother and siblings in Philadelphia and in the 1930 census she was still with her mother. In 1940, she was living in Upper Darby, Pennsylvania with her brother James's family. Mabel Hartley (James Lincoln, Richard, George) was born in c.1901. In 1910, age nine, she was living with her parents, and in 1920, age nineteen, she was living with her mother. A Mabel Hartley, born August 14, 1900, died January 1978 in Pennsylvania, but there are no particulars given about her parentage or place of birth. James Lincoln Hartley (James Lincoln, Richard, George) was born in 1905 and died December 22, 1975. He married Marion Elizabeth Fisher (d. October 11, 1992). James and Marion are buried in Arlington Cemetery, Drexel Hill, Pennsylvania, as are his parents. Wilbur Merritt Emerson (Susanna, Ellis, John, George) was born October 12, 1890 in Bangor, Maine and died September 23, 1983 in Bangor Maine. He married Helen Margaret Hanlon (February 12, 1889-August 19, 1948) on June 13, 1918 in Burlington, Vermont. His second wife was Angelin Myrtle Palmer (April 30, 1890-November 13, 1986), widow of Leon Percival Carver of Howland, Maine. They married on September 9, 1951. Wilbur Merritt Emerson was a partner with his father, J. S. Emerson and Son, Mason Contractors, in 1911 but later entered the University of Vermont College of Medicine and graduated in 1918. He had previously attended college in Philadelphia. Dr. Emerson bought the practice of Dr. McNally at 131 State Street, Bangor, where he lived and practiced medicine until moving to 181 State Street in 1982. Madeleine G. Hartley (James, Ellis, John, George) was born August 28, 1905 in Bangor, Maine and died October 21, 1982 in Bangor, Maine. As late as 1931 she was living in her parents' house at 54 16th Street. She married David H. Cronin on August 27, 1934. Beatrice G. Hartley (James, Ellis, John, George) was born June 25, 1906 in Bangor, Maine and died July 28, 1984 in Bangor,Maine. She married Henry Edward Samways. In 1940, they were living in Brewer, Maine with their son, H. James Samways. Geneva M. Hartley (James, Ellis, John, George) was born July 31, 1909 in Bangor, Maine and died January 15, 1975 in Bangor, Maine. She married Wendell Temple Smart (March 8, 1912-March 28, 1962) on May 21, 1938 in Bangor, Maine. They resided in Bangor in 1942. Wilbur D. Hartley (James, Ellis, John, George) was born September 29, 1911 in Bangor, Maine and died September 24, 1956 in Bangor, Maine. According to city directories from 1937-1955, he lived at the house his parents had owned at 54 16th Street. James M. Hartley (James, Ellis, John, George) was born May 19, 1924 in Bangor, Maine and died April 6, 2002 in Bangor, Maine. He is also listed as James N. Hartley.